Integrated Foundation Classes (2016R3) Released! Software Tool & Die Inc (STD) is very pleased to announce that they have just released an updated version 2016R3 (2016.3.0.68) of their Integrated Foundation Class library for PowerBuilder "Classic", Appeon Web and Appeon Mobile! 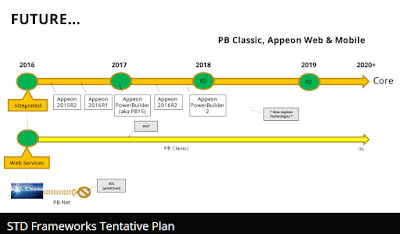 The latest version contains the following updates and has been tested with Appeon 2015R2 Server (build 0359.00) and Appeon 2016 Server (build 1080.00) using the official MR (maintenance releases) of PowerBuilder "Classic" versions 12.1, 12.5.1 and 12.6. Testing inside of PB included Win32 (both P-code & M-code) deployments while testing inside of Appeon included latest Web Browsers, latest Apple Tablet/Smart Phone and Android Tablet/Smart Phone deployments. Revised the "nc_app_controller_master" NVUO to only open the HOLD window if a Controller type window is being used. Added "oe_print_window" event to the "vs_dc_master" DataWindow base class. Added "of_get_print_window_status" function to the "vs_dc_master" DataWindow base class. Added "IsWindowEnabled" external function declaration to the "nc_application_master" base class. Added "RtlGetVersion" SDK API to the "nc_app_controller_master" base class. Various small code tweaks for better performance under the Appeon 2016 product release. 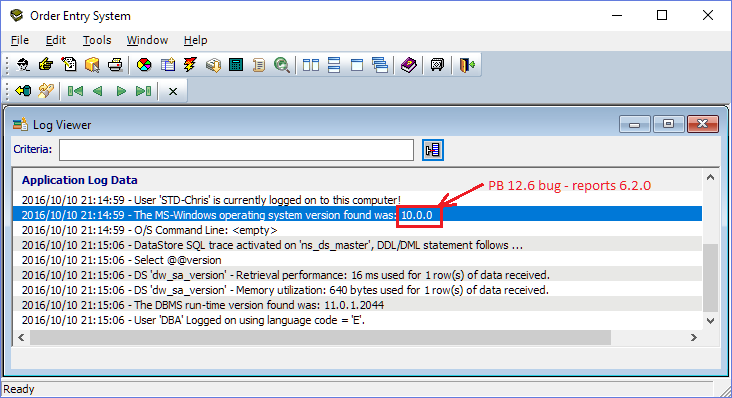 Revised "of_check_os_version" function in the "nc_app_controller_master" base class to acquire the correct O/S version (PB 12.6 workaround Environment bug). 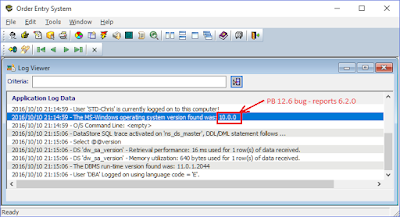 Please Note: This will be the last version of the STD Integrated framework for PowerBuilder 12.1. 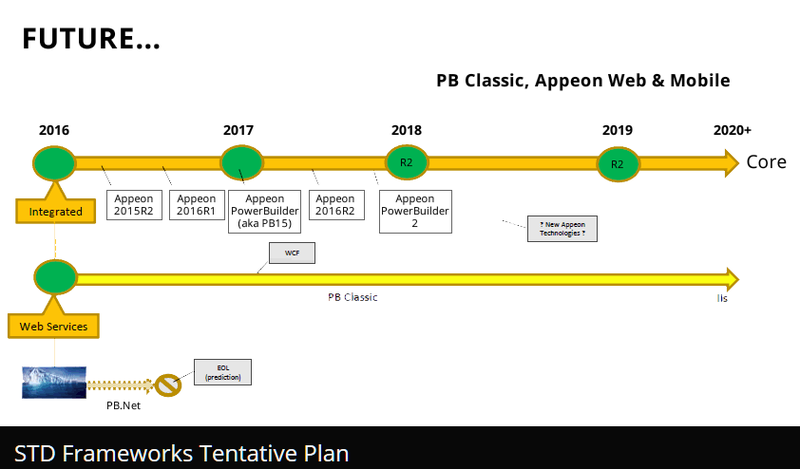 The next Integrated framework release will be based on PowerBuilder 12.6 as STD tunes their development efforts to align with the new Appeon PB product (which is being developed using the current PB Classic 12.6 code-line). SQLAnyWhere for PowerBuilder - New Distributor! I just wanted to let everyone know that the SQLAnyWhere DBMS that comes included with PowerBuilder can now be purchased from Novalys as they are now an SAP authorized SA distributor. For those PB Shops that require a production licensed version, Novalys can now supply the multi-user SA version. For software vendors who are deploying SA with their respective applications, Novalys can also provide them with volume discounts. Each SQL Anywhere license purchased, comes with a free developer copy of Reporting Studio ! Negotiated discounts for software Vendors embedding SQL Anywhere in their commercial applications. => Novalys staff speak English, Spanish and French and serve all continents. For more information, please visit Novalys's new SA website! PS: Don't forget that the SA developer version is still free as well.